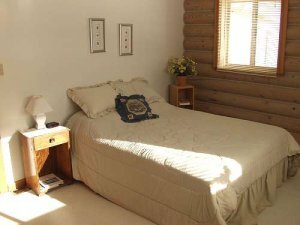 Our modern, three bedroom, two bath guest home 23 miles northeast of Bozeman, Montana, sleeps 8 and is located on a private road in prime fishing, hiking and skiing country. 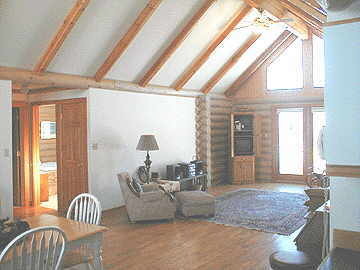 This beautiful new log home features a full kitchen with microwave and dishwasher. 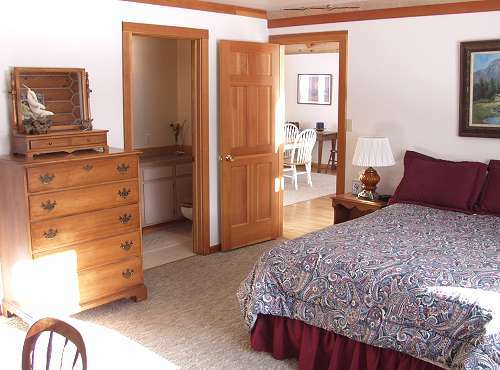 It has a master suite with queen bed and private bath. The second bedroom has a queen bed and the third bedroom has two sets of bunk beds.  Bridger Bowl (known for fantastic dry powder and no lift lines) is only 6 miles away. Big Sky ski area is an hour and a half. 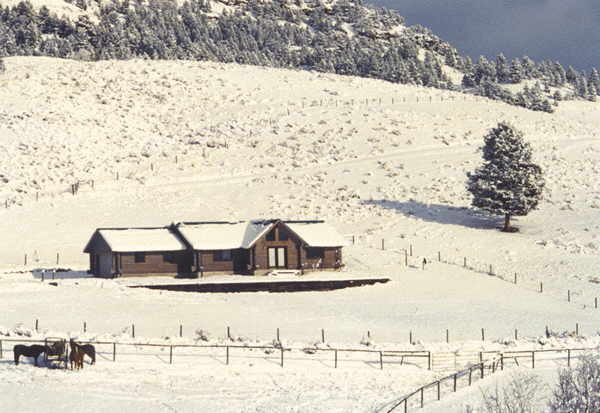 The Bohart Nordic Ski Center, with over 30 miles of groomed trails is only 4 miles away. The North Entrance of Yellowstone Park is less than two hours away, and the West Entrance is only a little farther. This means you can do a day-trip loop through the park and make it home for a shower and a good night's rest. 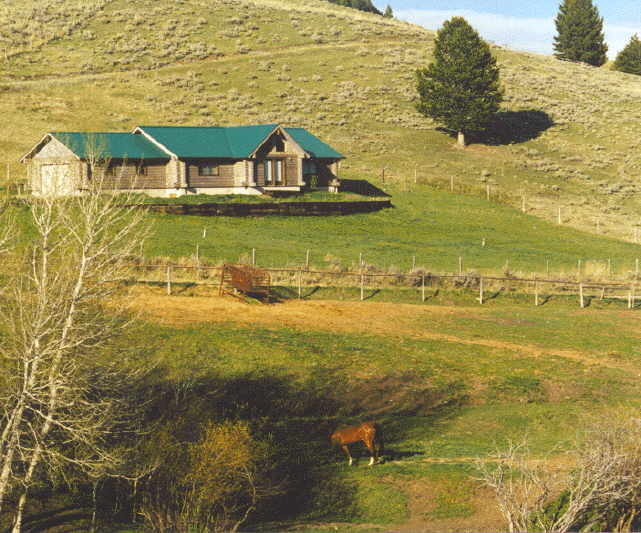 The cabin is very peaceful and private, situated on a dead end road that leads to private wilderness land. We have access to many miles of hiking, mountain biking, cross-country skiing and snowshoeing trails. 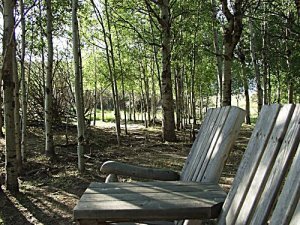 Relax in seclusion by the frog pond on the property or enjoy the excellent sledding hill and picnic and bonfire areas near the creek. Amenities: washer/dryer, microwave, gas stove and heat, satellite TV/DVD, CD/stereo, fax/phone, library, propane barbeque. 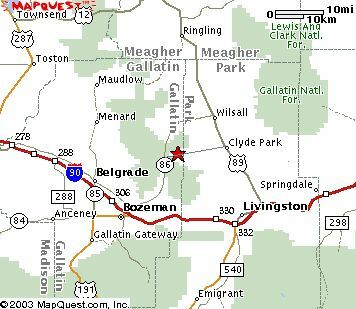 Bozeman is served by Delta, Northwest, Horizon, and United airlines.